Do you know how to make your website rank better for your target audience? We do. 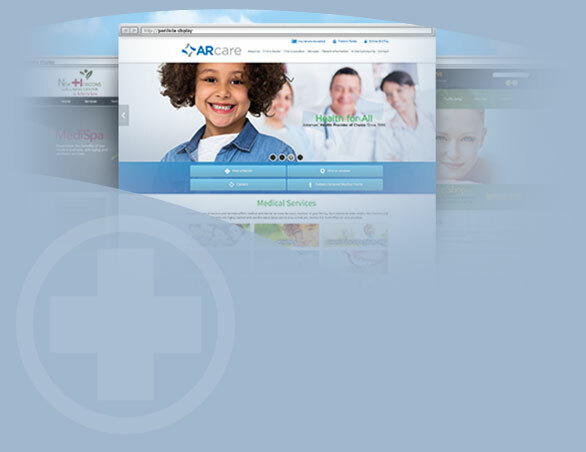 Every iHealthSpot website comes with search engine optimization services included with your monthly package. Your website will be “found” by your target audience, delivering new leads and new patients every month for virtually no cost. Are you looking for guaranteed traffic to your site? A trusted Google Partner, our search engine marketing experts can set up an effective pay-per-click (PPC) campaign based on keywords. The only time you are charged is when a visitor clicks on your link. You can set the budget you want to spend, and traffic is guaranteed. You’ve worked hard to build your reputation as a respected medical professional in your community, but have you invested in building that reputation online? With our Reputation MD Program, you’ll be notified every time a review is posted so you can manage negative reviews and promote the best reviews on your website. Why is social media important to your practice? It allows you to interact with patients in a controlled environment, and it affects your search rankings. Our experts can set up social media accounts and manage them for you, or you can manage them yourself. Our social media service can be added to any website package or purchased as a stand-alone service.